What a lineup of strong ladies!! My friends and I run the same 5k for women each year and have for about 6 years. Each year someone new decides to join us and make it their first road race! It's so fun! I am joining this year! Thus far I've only met Kim Reed from PNW, so i'm excited to meet the numerous other bloggers from your part of the country as well! I'll be there for the half! Count me in! My husband and I are running it (though not together, he is much faster). We've never done it before, but like that we can walk on/walk off the ferry to get there this year. Looks like a lot of people running that half! I'll be running the full again this year. Excited!! That first photo is still my fav! I am a repeat race runner. I have run 5 Disney Marathons in a row. I will be running my 4th Vermont City Marathon in a row in May. 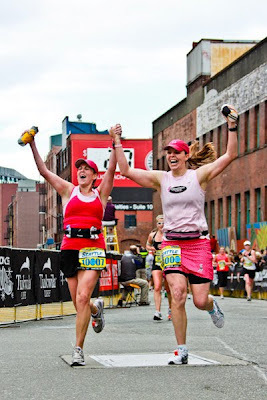 And I will be running my 4th Baystate Marathon/Half Marathon this year. Creature of habit, I am! So awesome that so many are running it! I have debated running it since the first one, but have never done it. I signed up for the Port Angeles Half that same weekend. I am running the half this year. My first race EVER was the Seattle St. Patricks Day Dash.....Saturday will be my 5th year running it. Rock 'n' Roll Seattle was my first marathon (the second year, I did the half the first) but I've run the full or half every year it's been around. I'm excited to be doing it again this year! It's such a fun event! I'm kinda thinking about running the full this year but I am not super motivated yet...will definitely be doing the half. 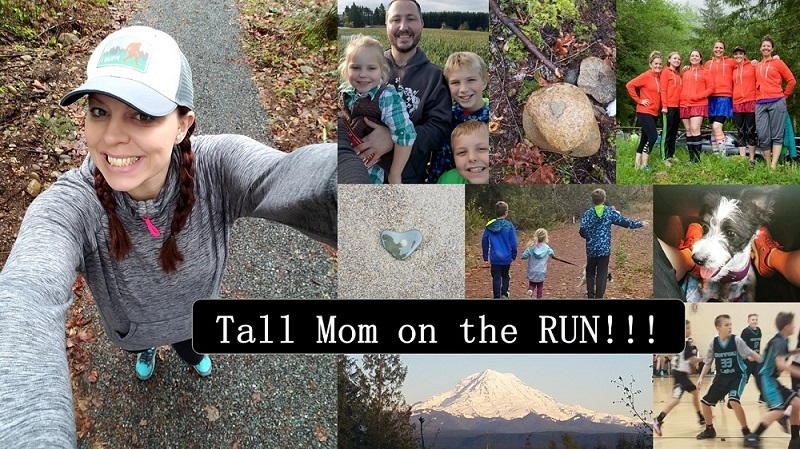 I'm running the half, and I've never met anybody from the bloggy world! yea! That's look so fun and even more funner with so many of your friends! One thing about the races I've run thus far is that I've been mostly alone at them except for the Resolution Run on New Year's Eve. Running races by myself sux! But with many friends around is so fun!!! I'm looking forward to St. Patrick's Day Race as friends from my group run as well as on dailymile will be there!! Holla! I can't wait. Of course, I should enter soon. Um dude. My blog address changed a little bit. Just take "blogspot" out and insert "sanitydepartment" and voila! Wow, so many bloggers!! I wish I would live closer and could join! I'm doing it! We need to have a blogger meet-up! I'm really excited, my official training starts in 2 weeks. That's awesome you've done it every year! I was "registered" for the full the first year but got a stress fracture and did the half in 2010. This year the full! Nice list! Giraffy (365DaysofAwesome) and Becca (50 halfs in 50 states) are coming toooooo! You have a great history with that race! Good to see you all going back again. Sooo wish I was coming! I need to win the lottery or something.. It's not since the race's start, since it's 75 years old, but I run my town's Thanksgiving Day Race every year...until this year. I was sick and sad. 7 year streak! This year starts a new streak. Aw! That was SO MUCH fun running with you and Amanda! What a beautiful day! Hopefully, I can make it happen again this year. 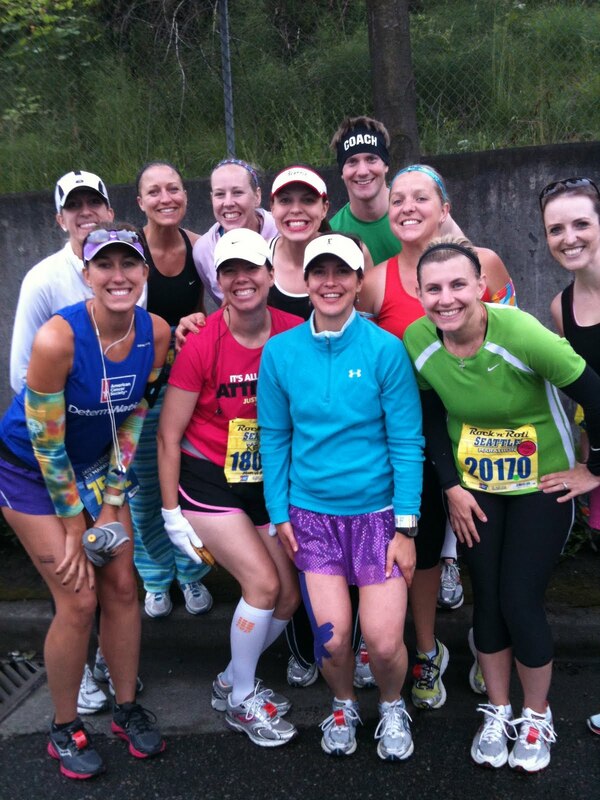 RNR Seattle-your very first 26.2! Special Mel! 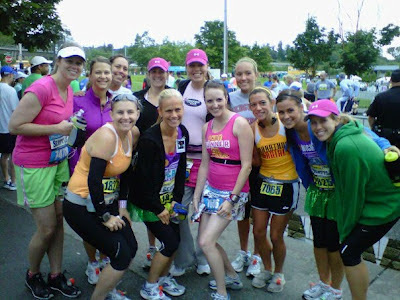 I won't be there, but 2009 Seattle RNR was my first marathon too! Good luck! I'll be there again this year! Hopefully I can say hi to you guys again. Last year I PR'd there (still my PR), but I'm a little worried about the new course. But, at least the drive is shorter for me! I am so pumped! Even if my goal is just to finish, I don't care! I want to enjoy this first Half-Mary and time with all of you! I came across this post as I was googling Seattle RNR race recaps because I WILL be running the full this year! Thanks for the great recaps to puruse through! Hope to see some of the bloggers there this year! I got really excited about this and posted to your Facebook post when I was supposed to comment here :). 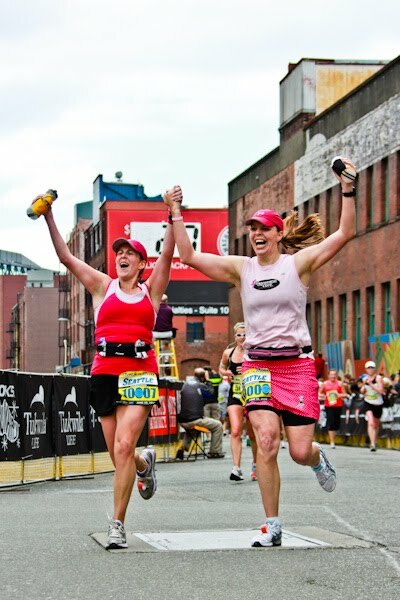 Last year was so much fun and I'm running the half again and would love to see everyone again. Let me know if I can help in any way!